Although folk horror is more often associated with the cinema of the late 60s and early 70s, in fiction it has had a much longer and broader history. 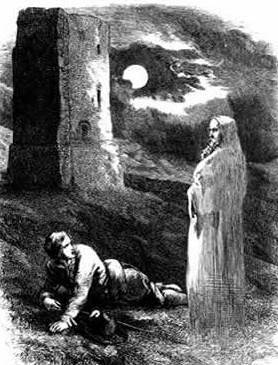 An offshoot of the Gothic novel, it was greatly influenced by the folk and Celtic revivals of the 19th and early 20th century, as well as by the work of anthropologists and folklorists such as Sir John Frazer and Margaret Murray. Folk horror found a place within the work of some of the most prolific writers of supernatural fiction and produced its own prominent figures in writers such as Arthur Machen and Algernon Blackwood. The list of folk horror fiction below is by no means a definitive list and in some cases I have limited an author to one or two stories. For writers such as Machen and Blackwood I encourage readers to look at their complete works. Thrawn Janet is seeped in the superstitions of eighteenth century rural Scotland. Mostly written in an archaic Scots dialect (which some readers may have trouble with), it recounts the story of Reverend Murdoch Soulis who asks a local woman suspected of witchcraft to be his housekeeper. The Withered Arm is a story that combines moral tragedy with supernatural horror, focusing on the lives of two women who have seemingly been touched by the power of magic. The Withered Arm is a curious study of folk superstitions, rural life and social injustice, part of Hardy's Wessex Tales. 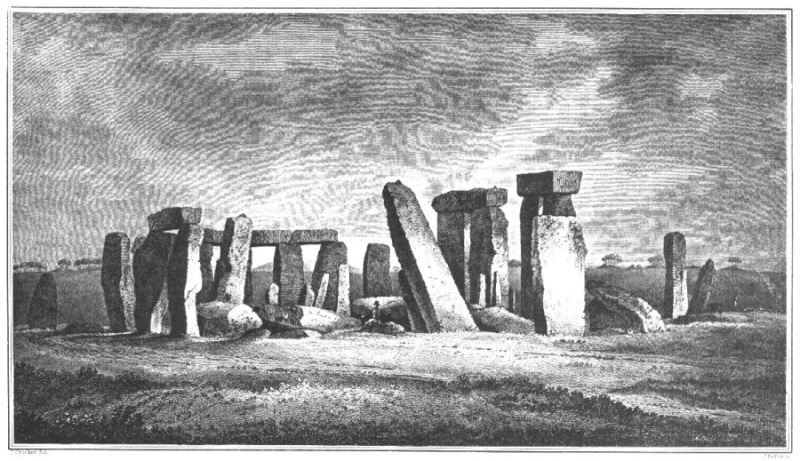 Pallinghurst Barrow is one of the earliest stories to use the familiar folk horror motif of Neolithic structures and ancient burial grounds. In the story Rudolph Reeve, whilst in a semi-hallucinogenic state, walks around the Old Long Barrow and begins to see the spirits of the prehistoric people who once occupied the land. 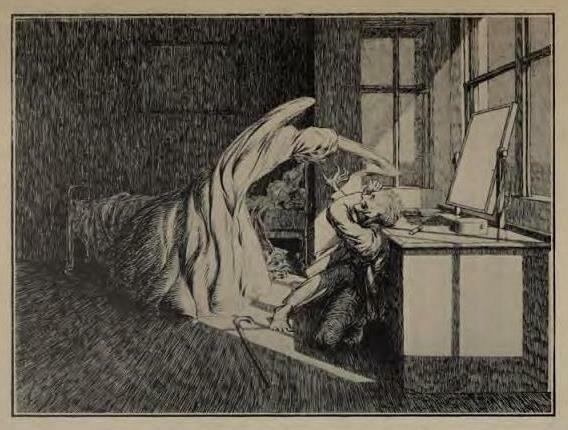 Medieval history and European folklore permeate the ghost stories of M. R. James, with characters coming face to face with archaic horrors and malevolent creatures. The Jamesian protagonist is often an antiquarian who, through intellectual curiosity, stumbles into a world of ancient evil, facing ambiguous threats and battling the occult power of alchemy and witchcraft. 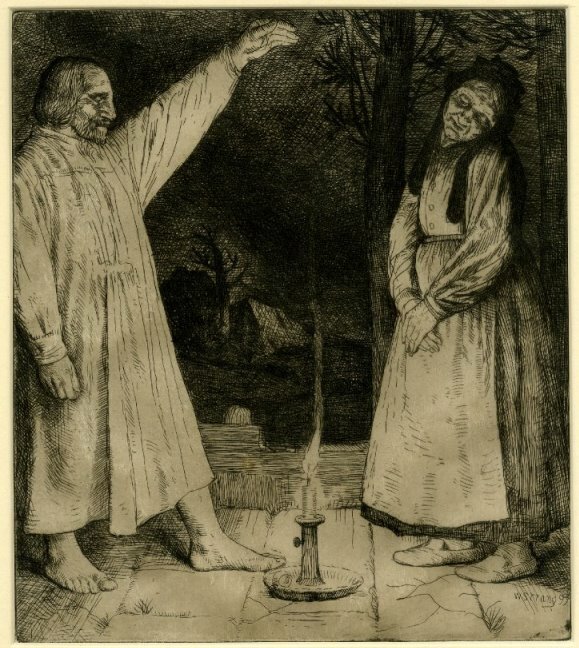 The stories of Arthur Machen abound with ancient folklore and existential menace and The White People is one of his most celebrated tales. The greater part of the narrative is told through the diary of a young girl who discovers a mysterious Otherworld whilst walking through the woods. As she becomes initiated into the secrets of folklore, witchcraft and ritual magic, she sees that the world she has entered is full of both wonder and dread. H. P. Lovecraft drew heavily upon Machen's work and the young girl's diary is not unlike Lovecraft's use of Wilbur Whateley's diary in The Dunwich Horror. The White People also provided inspiration for Guillermo del Toro's Pan’s Labyrinth. Set during Late Antiquity in Roman occupied Gaul, the story follows Paullinus, a Roman priest who travels from village to village evangelizing. On his journey he meets an old tribal warrior who warns him to stay away from the pagan temple where criminals are sacrificed to the dark god of the forest. Despite the warning Paullinus finds himself in the house of the temple's priest. Two antiquarians rent a Cornish cottage built on the site of a prehistoric stone-circle and soon find themselves haunted by its sinister past. Whilst on holiday in a small village in the Cotswolds, antiquarian Heyling stumbles upon a local custom which involves men dancing around a pole. Heyling discovers that the custom is associated with Randalls Bank, an ancient burial barrow located nearby. After being refused permission to explore the site Heyling decides to go there and excavate under the cover of darkness. A short and simple story about an amateur archaeologist who becomes possessed by the Druidic spirits at Stonehenge. In The First Sheaf Wakefield employs many of the familiar tropes of folk horror; an isolated farming community suffering from a bad harvest, a Christian family newly arrived in the village who are either ignored or threatened, a missing girl and a suspicious stone pillar situated in the middle of a corn field. L. T. C. Rolt's ghost stories are more known for their industrialized settings, as befitting a historian of railways and engineering. However Rolt was equally at home with more pastoral lanscapes. In Cwn Garon he conjures up the beauty, mystery and ultimately the horror of an isolated Welsh valley, where the villagers are said to have formed a pact with an ancient power. In Cwn Garon Rolt draws upon the work of the Welsh mystic poet Thomas Traherne and the diaries of clergyman Francis Kilvert, whose words "An angel satyr walks these hills" are incorporated into the text. Rolt uses this quote again in his story The House of Vengeance which shares the same setting as Cwn Garon, the Vale of Ewyas in the Black Mountains. A dull weekend with the future in-laws takes a surprising turn when Clarinda Hartley stumbles upon a strange pagan ritual in an East Midland village. 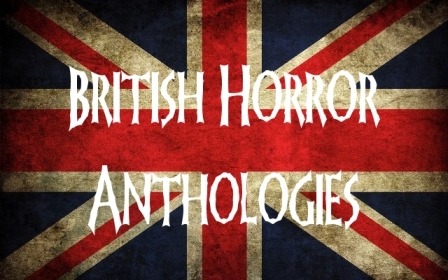 The story was part of Aickman's Dark Entries short story collection. Arguably Ainsworth’s Gothic romance represents the first example of a folk horror novel. The novel is based upon the the true story of the Pendle witches who were executed for witchcraft in 1612. The story of the Lancashire witches proved fruitful inspiration for other authors such as Robert Neill in his novel Mist Over Pendle (1951). To quote Dr Raymond from the beginning of The Great God Pan, "There is a real world, but it is beyond this glamour and this vision ... the ancients knew what lifting the veil means." This statement aptly sums up the defining theme of Machen's work, that beneath everyday existence lies a world of ancient forces, half remembered in the language of folktales and superstition. The Great God Pan was Machen's first successful novella and it scandalized the British literary scene with its portrayal of ancient rites and depraved sexuality. The story is composed of fragmentary accounts that describe a sinister metaphysical experiment in the Welsh hills, a terrifying tableau in the glade of a wood and later follows the movements of an attractive young woman who leaves behind a trail of madness and death. H. P. Lovecraft called The Willows the best "weird tale" ever written. Like many of Blackwood's stories The Willows presents a pantheistic and sentient view of nature, where other dimensions interact with our own. The story follows two friends who whilst traveling along the Danube River are forced to take refuge on a tiny, willow inhabited island. On the island the men experience a series of strange and unsettling phenomenon in which the willows seem to be possessed by some uncanny and hostile force that resents their presence. Although this fantasy novel would not technically be classified as a horror, I include it as it contains many of the motifs and themes found in folk horror, in particular the conflict between Christianity and an ancient pagan religion. Set in a quaint rural English village the narrative follows mild mannered Reverend Elderick Anwrel who becomes increasingly disturbed by the actions of his parishioners and the growing influence of 17 year old piper Tommy Duffin. Seemingly charmed by the tune of the pipes, the local inhabitants are drawn to Wold Hill on which sits a megalithic site the "Old Stones of Wolding". 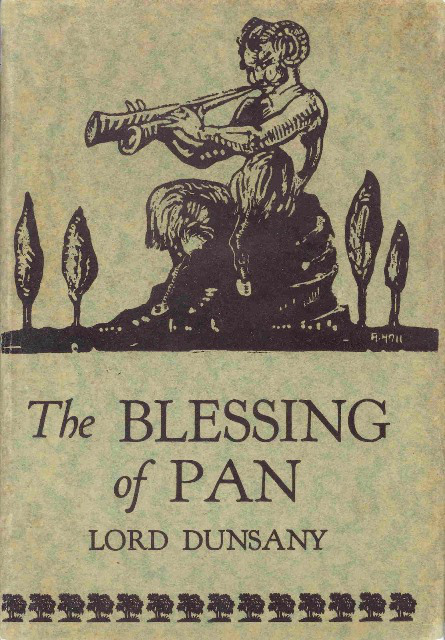 The work of Lord Dunsany is worth a look at for fans of fantasy and weird fiction. He was an influence on H. P. Lovecracft who included him in his essay "Supernatural Horror in Literature". His influence is most obvious whilst looking at his volumes The Gods of Pegana (1905), Time and the Gods (1906) and The Sword of Welleran (1908) which feature stories of a pantheon of ancient gods. Dunsany would return to the theme of Pan in his Fifty-One Tales (1915) in "The Death of Pan" and "The Tomb of Pan". Ringstones centers on the narrative of Daphne Hazel, a young governess who is spending the summer working for Dr Ravelin, a reclusive scholar, who resides at Ringstones Hall on the remote Northumbrian moors. At first Daphne is enamored with her idyllic surroundings and the company of her three young students Nuaman, Marvan and Ianthe. However, Daphne soon becomes disturbed by the dominance of the boy Nuaman and the mysterious landscape and the history of its stone circles. Sarban's tale is filled with dark eroticism, power-play and evocative imagery of the English countryside. 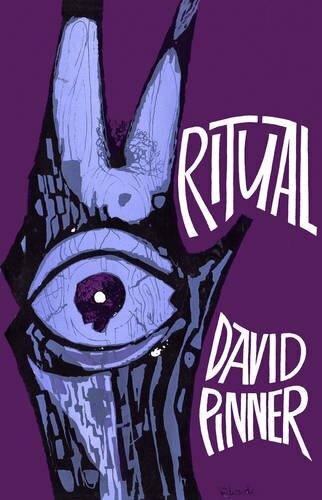 David Pinner’s novel Ritual is probably best known for inspiring the classic film The Wicker Man. Ritual is set in the rural Cornish village of Thorn and follows David Hanlin, a London police officer, who is called in to investigate the suspicious death of a local child. During the investigation Hanlin has to grapple with local superstition, ancient practices and the town's evasive and eccentric characters. All events leading up to Midsummer night. A young family move to the sleepy rural farming community of Cornwall Coombe and discover that the townspeople are strict adherents to the ways of the past. At first charmed by the simplicity and beautiful landscape, sinister secrets soon abound leading up to the dramatic conclusion and the festival of Harvest Home. 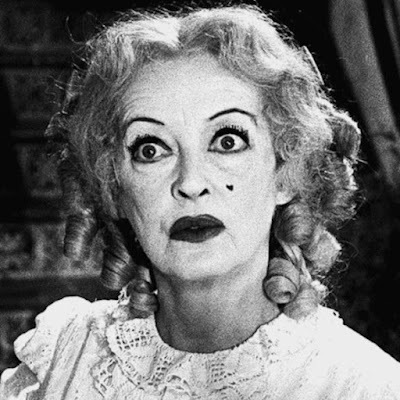 The novel was made into the TV mini-series The Dark Secret of Harvest Home and starred Bette Davis as the matriarch Widow Fortune. The Old Gods Waken is the first of the Silver John novels. 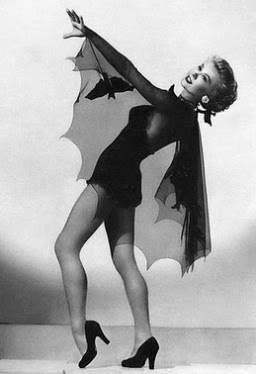 The character first appeared Wellman's short story collection Who Fears the Devil in 1963. Silver John, also known as John the Balladeer, wanders the Appalachian mountains of North Carolina with his silver stringed guitar. In The Old Gods Awaken Wellman draws upon the folklore of both the Appalachians of European decent and the Native Americans. Set at the foot of Wolter Mountain, a sacred place for the Native Americans and their predecessors, two old world Druids attempt to awaken the ancient deities of the mountain.